-- Do you get home from work to be greeted by clutter central? Are you hiding an ugly mess behind closed doors and drawers? Are you frustrated when you can't find what you need when you need it? Are you embarrassed by the disorganization when an unexpected visitor drops by? You may have tried to get organized. You may even have succeeded with a mad purge one weekend. But if it all unravels after a few days or weeks, you need to try something different. 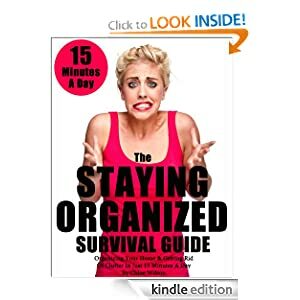 Follow 'The Staying Organized Survival Guide: Organizing Your Home and Getting Rid Of Clutter In Just 15 Minutes A Day' to get the organizing habit! It will stir you into action with plenty of 'kick start tasks' to set you on the path towards maintainable home organization. Spend 15 minutes per day for just 30 days - that doesn't sound too bad does it? Implement the simple, but crucial, techniques to establish organizing as a habit. Start somewhere small with 'hot spots' that really bug you. Be amazed at how your small successes motivate you to carry on. Learn how to stay on track even if you hit a bump in the road. After 30 days, you will have established the organizing habit which will make your life easier. Staying organized will have become like cleaning your teeth - automatic, with no willpower required. 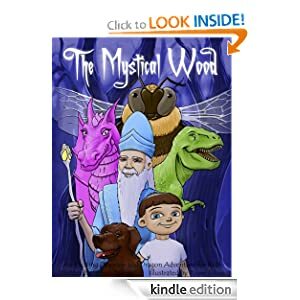 -- Take a magical journey into 'The Mystical Wood' where a boy, searching for his lost dog, meets a wizard, a dragon, a giant bumblebee and a T-Rex. He must befriend each one to carry on the search for his pet and return back home to his Mum. Will the boy find his dog? How will he get home? 'The Mystical Wood' combines a terrific adventure with everything a parent or teacher could want a child to read. It has new words, but not too many so that a child loses interest. It shows positive values, without lecturing. It can be read together, or alone. It is written in rhyme which helps your child to remember the new words. 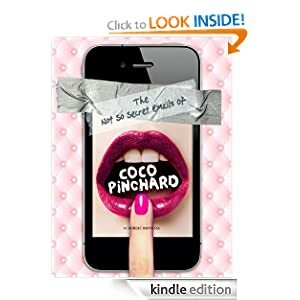 -- Where Bridget Jones left off... Coco Pinchard picks up. The iPhone becomes a confessional of sorts, through emails to her friends Chris, an aging trustafarian and Marika a slightly alcoholic schoolteacher.